Can homeopathics really kill cancer cells as well as chemo? The debate on homeopathics continues. While the Europeans use these greatly diluted remedies extensively, doctors in the U.S. still say they don’t do anything. “How can they work?” they ask. Homeopathics are energy medicines that have no measurable trace of the original substance. They’re just plain water, aren’t they? New research suggests homeopathics kill breast cancer cells as well as the leading chemotherapy drug. In the first study of its kind, researchers from the Anderson Cancer Center in Houston, Texas compared several homeopathic remedies to Taxol – the most common chemotherapy drug used to treat breast cancer. They found that the homeopathics were just as effective as the drug. What’s more, they didn’t harm healthy cells. That’s right! 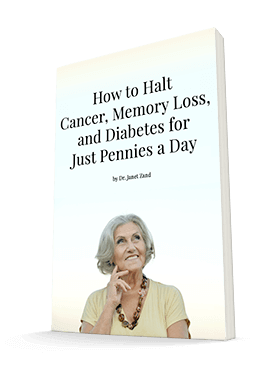 Homeopathics killed cancer cells as well as chemo – without the side effects. The lead researcher, Moshe Frenkel, MD, and his team tested four different remedies on breast cancer cells in triplicate. And they repeated the remedies at least twice. They found that two of them were particularly effective: Carcinosin 30C and Phytolacca decandra 200C. The researchers published the results of the study in the International Journal of Oncology. Homeopathics work. This study is a clear indication of their effectiveness. But killing cancer cells is just one example of their power. I’ve personally used them for decades and wouldn’t be without them whenever I travel. They’ve saved me many times over. However, I don’t suggest that you stop your current treatment for breast cancer and use homeopathics instead. We still need animal and human studies to determine such things as dosage and length of treatment. However, if you want to use homeopathic remedies for serious conditions like cancer, it’s worth considering. But make sure you work with an experienced homeopath. And let your doctor know that you’re using them. For more books on homeopathy, and to buy homeopathic remedies, go to www.homeopathic.com. This is the website for Homeopathic Educational Services. Hermes, Gretchen, et al. “Social Isolation Dysregulates Endocrine and Behavioral Stress While Increasing Malignant Burden of Spontaneous Mammary Tumors,” "http://www.pnas.org"\t"_blank" PNAS, 6 Dec 2009.